Archeologists were amazed when they first saw a newly-identified ancient arrangement of stones on a farm in Aberdeen, Scotland, in December. Scottish archeologists arrived at the scene and remarked at how unique the arrangement was. 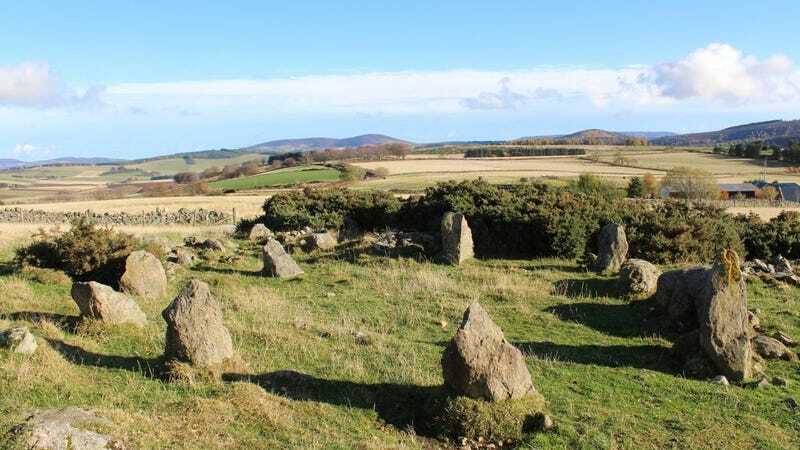 “In numbering ten stones it fits the average, but its diameter is about three [meters] smaller than any known hitherto and it is unusual in that all the stones are proportionately small,” Adam Welfare of Historic Environment Scotland said, according to an Aberdeenshire Council news release. Now Ackerman realizes he was a bit hasty in his celebration of the ancient marvel. On Monday, the Aberdeenshire Council released a report revealing that the stone monument was actually only about 20 years old. Ackerman tweeted about the development. Ackerman told Gizmodo that the builder of the modern stone circle has an interest in archeology and must have been very familiar with Recumbent Stone Circles in order to build such a great replica.